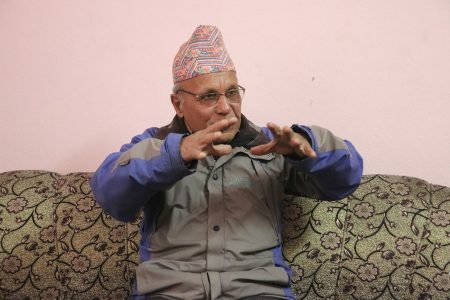 CPN-UML leader and former lecturer at the Tribhuwan University, Mahendra Bahadur Pandey, assumed his office as Foreign Minister in the Sushil Koirala-led Cabinet in March 2014. Nepal successfully hosted the 18th South Asian Association for Regional Cooperation (SAARC) Summit on Nov 22-26 last year in Kathmandu. This was Nepal’s third time to organize the regional summit. Foreign Minister Pandey played a key role in holding the SAARC Summit, which gave a positive message in the international arena about Nepal. 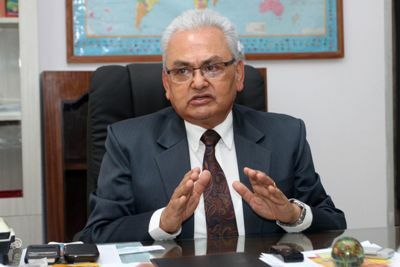 However, Foreign Minister Pandey had to undergo criticism for the government’s dilly-dallying in the appointments of ambassadors to several countries, including neighboring India. Questions were raised from several quarters over the coalition government’s indecisiveness for failing to appoint an ambassador to immediate neighbor India where the position has been lying vacant for about four years. 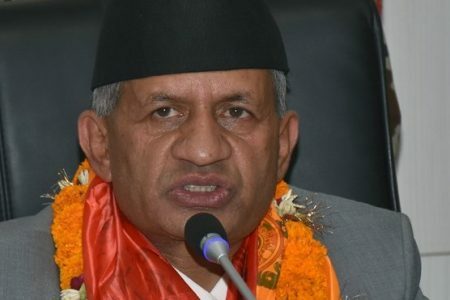 Ending a row between the coalition partners, the government recommended Nepali Congress leader Deep Kumar Upadhaya and Human Right activist Dr Arjun Kumar Karki as Nepalese envoys to India and the United States of America last month. Minister Pandey has been holding series of discussions with seasoned diplomats and people from various walks of life regarding making changes in policy in line with the changed context. You have been in office as Foreign Minister for the past one year. How do you feel when you assumed this significant portfolio and that too in a transitional phase? Nepal has gone through various transitional periods in its history. The current transition, I would say, is highly significant when it comes to institutionalizing the achievements made through various movements against tyrannical rules. I am optimistic that the current transition will bring about positive results. In fact, I would unhesitatingly say that we have not been able to fulfill the peoples’ aspirations at this critical juncture. However, things are moving in the right direction. I have been persistently working for the nation and people’s interest by maintaining excellent relations with our foreign partners since I took the charge as the foreign minister. I got an opportunity to revitalize some issues which had been in limbo for many years. I am fully satisfied with my work. What major differences do you see when implementing foreign policy in a transitional phase than during a normal situation? Foreign policy remains steady and goes smoothly in a normal political situation. But in political transition, a country’s foreign policy may face some ups and downs. There could be differences while handling foreign policy in a normal and transitional period. As far as our foreign policy is concerned, we will be able to give a final shape to our new foreign policy after the completion of the current transition. Neighboring countries are also expressing their concern over Nepal’s new foreign policy after the transitional period. We will deal with other countries accordingly on the basis of our new policy and move ahead to achieve economic prosperity and stability. If we come up with a visionary foreign policy, it would be highly advantageous for Nepal. That’s why, what we are doing with regards to revitalizing our foreign policy is a matter of satisfaction for me and the ministry. Do you think it is necessary to improve our current foreign policy? If so, what sort of improvement would you talk about? There are certain fundamental matters in foreign policy that remain unchanged despite change in the political system. The main objective of the foreign policy is to preserve national integrity, sovereignty, culture, historical background, freedom, diversity and unity. These matters are unchangeable in any kind of political upheavals or change in the governments. However, it is very important how to make changes in foreign policy by safeguarding the aforementioned matters. Political leaders and parties should never act against country’s sovereignty, freedom and territorial integrity. They should always bear in mind these matters so that the foreign policy will remain intact. Political leaders and parties should abide by the diplomatic code of conduct. Contrarily, our political leaders and parties seem a bit reluctant to follow the diplomatic code of conduct and diplomatic dealings seem sometimes out of our existing diplomatic practices. This has become the main challenge in implementing our foreign policy in recent times. Effective implementation of the diplomatic code of conduct will promote our national interest. However, our parties have failed to realize this. Another important concern is to maintain institutional memory or archiving. It is also a big challenge for the ministry to keep those historical documents or records which are extremely valuable for us to keep the institutional memory of the ministry. Currently, we are in the process of constitution drafting. I want to lay emphasis on enshrining total implementation of the diplomatic code of conduct in the new statute. There should be a provision of penalizing politicians, bureaucrats or others breaching the diplomatic code of conduct. It can be stated in the new constitution that wrongdoers or those breaching the diplomatic norms or code of conduct would be penalized. The diplomatic code of conduct is being violated by political leaders. Even foreign diplomats based in Nepal are also found to have flouted the code. Do you have any steps that would ensure strict implementation of diplomatic code of conduct? We do have diplomatic code of conduct but are failing to implement it. I have initiated groundwork for its effective implementation. Media can come up with constructive feedback for the effective implementation of the diplomatic code of conduct. It can further make public through its contents on cases of violation. Informing the people about violation of code of conduct through media would help the concerned body to implement it. Diplomatic code violation can happen in two ways—somebody may vehemently breach it and second person doesn’t take it mandatory to follow when the first one gets exemption. But both tendencies are absolutely wrong. We didn’t have academic institutions to teach diplomatic values and norms. I studied civil education in my school. Now, it is necessary to teach diplomatic values and norms in the school level to make students aware about our diplomatic issues and national interests. Do you have any suggestions to political parties for the implementation of diplomatic norms and values? It needs rigorous discussion on the effective implementation of diplomatic code of conduct. Parties must hold intra-party discussions on this issue. Political parties and their leaders must be acquainted with the sensitivity of our foreign policy. It is a high time that the parties committed themselves for strict implementation of diplomatic code of conduct and realized its practical approach. The international diplomatic community in Nepal must know and be abided with our diplomatic code of conduct. Nepal‘s foreign policy is said to be mainly guided by the geo-political situation since Nepal is sandwiched between two emerging economic giants—China and India. Is our foreign policy guided with interests of our neighboring China and India? There can be different views on this. This is a wrong interpretation to say that Nepal’s foreign policy is guided by the interest of our neighboring countries. However, we should take into account that these too matters in the formation of new foreign policy. It would be detrimental to our national sovereignty, territorial integrity and national interests if we formulate new foreign policy on behest of any other countries. We cannot even imagine such type of foreign policy. Country’s sovereignty should be in the centre of foreign policy. Nepal respects genuine concerns of our neighboring countries and will maintain the same policy in the days to come. While addressing concerns of neighboring countries, Nepal’s interests will always be in the centre. It has been expected that Chinese President Xi Jinping is visiting Nepal this year. What are the preparations? Nepal and China are marking the 60th anniversary of diplomatic relations establishment this year. There could be exchanges of high level visits on the occasion. President Dr Ram Baran Yadav is visiting China very soon. Nepal has already extended invitation to Chinese President Xi to visit Nepal. We have received positive response from the Chinese side regarding Xi’s visit. We are hopeful that his visit will take place at a convenient time soon. Recently, the government nominated ambassadors for India and the USA. When will the government recommend ambassadors in other Nepali missions abroad? After a hiatus of some three years, we have been able to recommend ambassadors to India and the USA. Since we are passing through a transitional phase, it is a natural phenomenon for not being able to appoint ambassadors. It can also be interpreted that impact of transition period is being reflected in taking decisions over ambassadorial appointments. 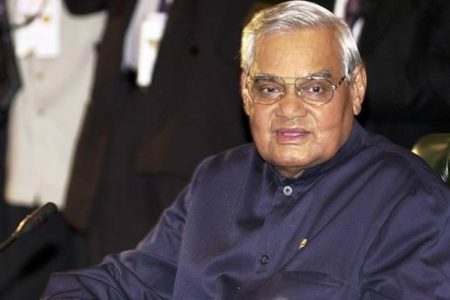 However, earlier the Nepali ambassadors from India, including other countries were recalled by the government due to the regular change of governments. Some ambassadors’ performance remained very poor such as Nepali ambassador to Qatar. Competent persons should be picked as ambassadors.